Our aims are to actively protect, preserve and improve the facilities and natural beauty of Roundhay Park for the enjoyment of all its users. 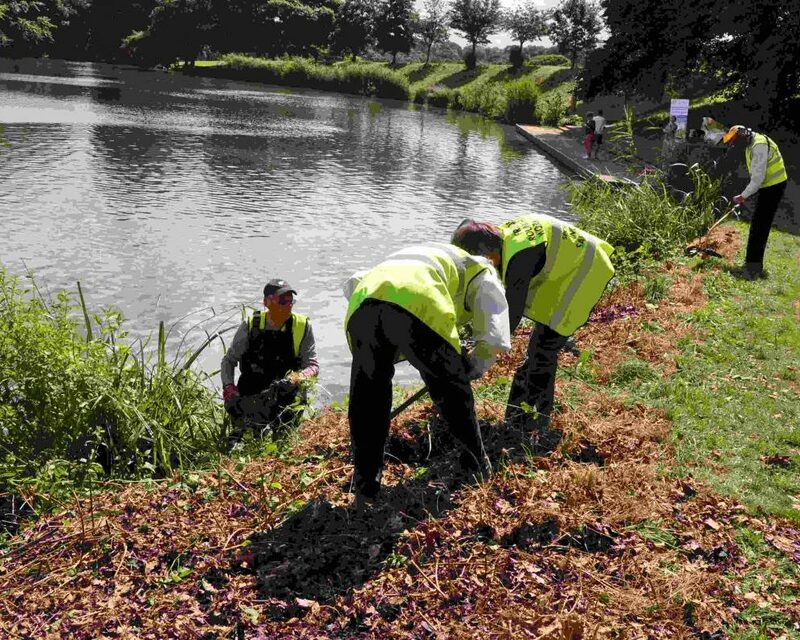 Guided by Leeds City Council Parks & Countryside Services, our volunteer groups and Working Parties undertake general maintenance and planting work in selected areas of parkland, gardens, woodlands, streams and footpaths. Our most recent project has been the raising of sufficient funds to pay for the complete redesign and new equipment in the Lakeside childrens playground. Through our publications, the Geology Trail, History Walk and Floral Walk booklets, and the provision of the Wildfowl and Tree Trail Information boards we aim to enhance visitors’ enjoyment and knowledge of the Park. Finally, we are alert to the changing needs of the Park and to the best use of its structures and buildings. In this capacity we liaise closely with local Councillors and keep abreast of any plans the Council may put forward for change.